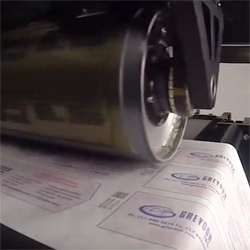 Rotary labeling machine available with 6, 9 or 12 tools and a 16.5" diameter turret for speeds up to 480ppm. 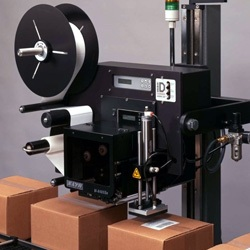 Rotary labelers machine available with 12, 16, 20 or 24 tools and a 30" diameter turret for speeds up to 960ppm. 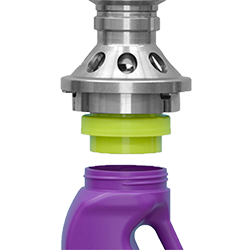 Vertical roller in-line labeler for round products at speeds up to 1000ppm. 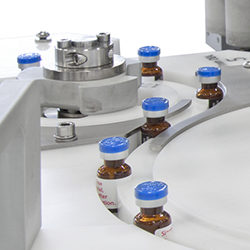 Horizontal roller in-line labeler for round products at speeds up to 1200ppm.